Just purchased the FTX Northern Ireland to complete my UK collection after thinking for quite a while. Followings are updated network links for my UK Google Earth maps. If you have installed the same links from previous posts, you will find the Northern Ireland data already included. As always, it is recommended to just COPY the URLs and add them via Network Link in Google Earth so that updates can be immediately downloaded when available. With the recent purchase of Orbx’s Scotland region, the followings are updated download links for my modified UK Google Earth map. Anyone who wants to compare Orbx’s airports and POIs with Playhorizon’s and UK2000’s addons in the same area could look at my earlier Post 184 here. As always, it is recommended to just COPY the URLs and add them via Network Link in Google Earth so that updates can be immediately called up when available. 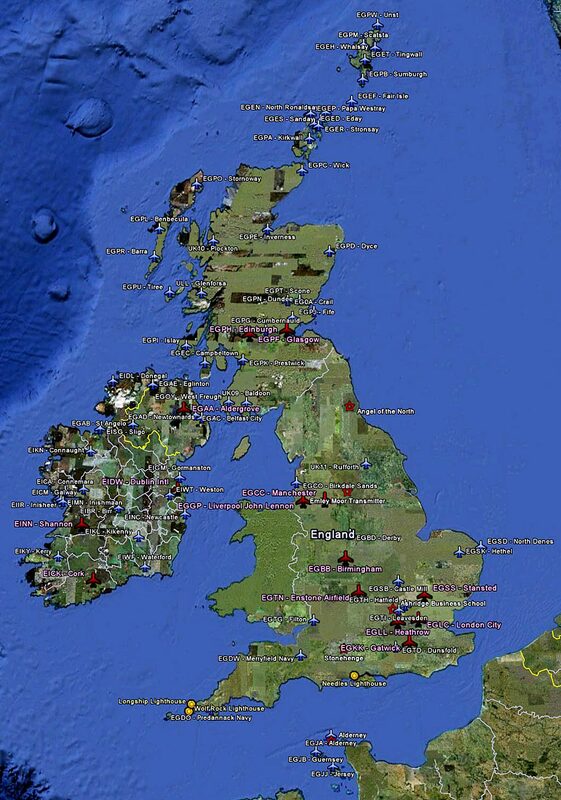 Here are the links of my modified version for UK & Ireland Google Earth airports and landmark maps. The first one is based on Playhorizon’s VFR UK, UK2000 and other airport addon developers, covering England, Wales, Scotland and Ireland. The second one is from Orbx’s EU which covers England only. One may use the links to compare the airports from above different developers. As always, the links are downloadable. However, it is recommended to just COPY the URLs and add them via the Network Link function in Google Earth, so that updates can be immediately called up when available. 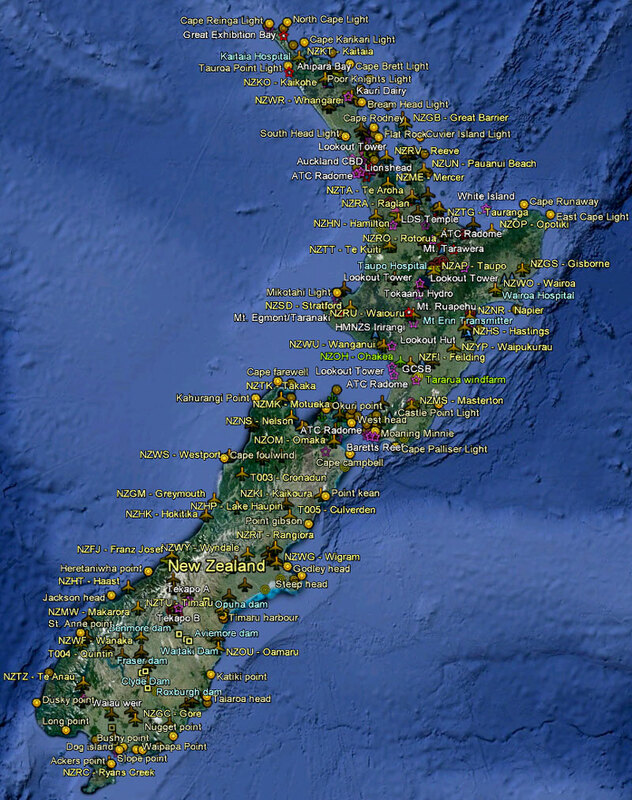 With the installation of the newly purchased New Zealand North Island from Orbx, my modified version of the country’s Google Earth airport and landmark maps have been revised accordingly. 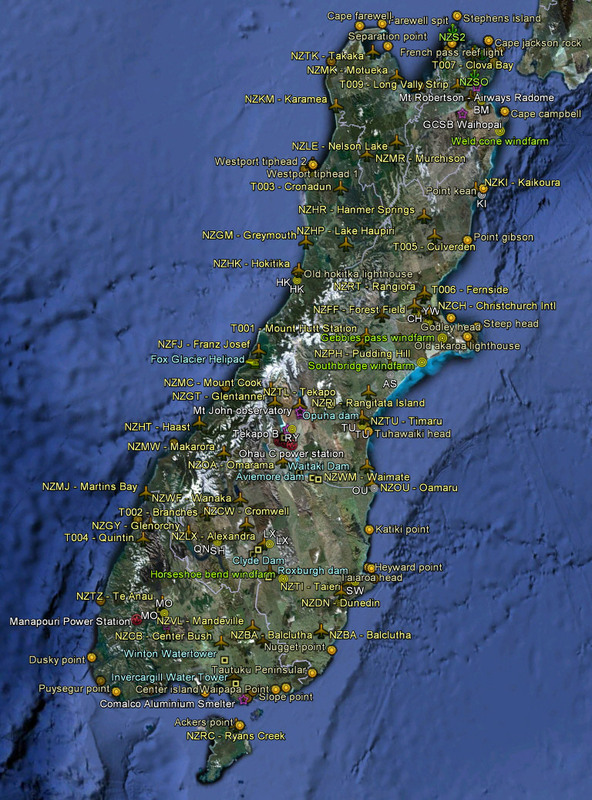 The first link below is for the North Island only, which can be used with my earliest Post 136 for the South Island. The second link is for the whole of New Zealand, which includes everything from Airports to Points of Interests. As always, although the links below are downloadable, it is still recommended to just COPY the URLs and add them via the Network Link feature in Google Earth so that updates can be immediately reflected when available. 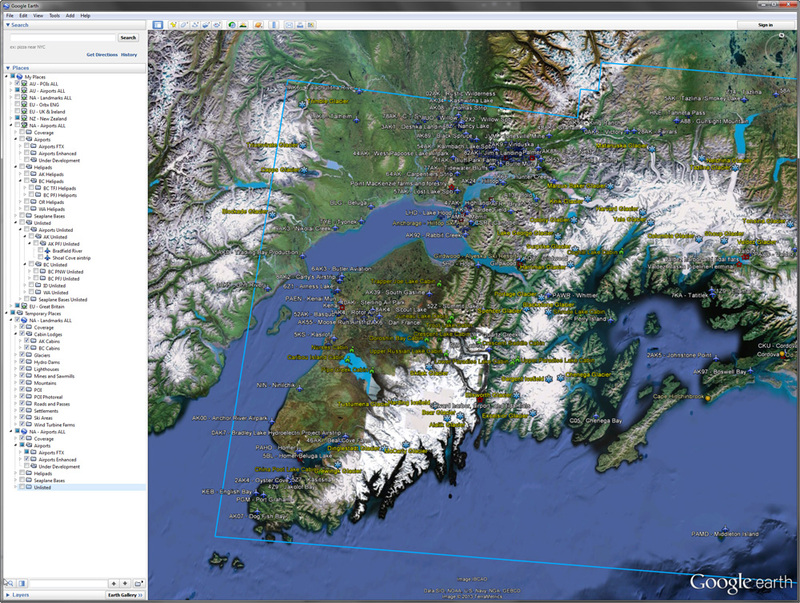 Just installed Orbx’s New Zealand South Island. As expected, the product is a lot better than the default FSX scenery. The quality of this new addon to me, however, is lower than the company’s North America products. You will say “not bad” (edit: much better with the SP1) but won’t give it a “wow” when you first run it — die-hard Orbx fans may disagree. Actually, the company’s recent products are giving me an impression that the overall quality of their addons are generally lowered. I no longer buy their products without a second thought as I used to be in the last few years. Anyway, here’s my modified version of the island’s airports and landmarks. It is recommended to just COPY the URL and add it to the Network Link in Google Earth so that updates can be immediately reflected when available. Here is the last for the Airport Map of Australia. Airports of Queensland from Orbx Default, Orbx Enhanced, OZx Enhanced and Ant’s Airplanes Enhanced Addons are inlcuded. URL for Google Earth Network Link is the same as in Tasmania Map. NOTE: The URL for the Points of Interests in Australia, as shown below, is a separate file from the Airport Map. Right Click to copy the link and add it to Google Earth. Here is the Australia Airport Map for New South Wales with Orbx Default, Orbx Enhanced, OZx Enhanced and Ant’s Airplanes Enhanced Addons. Add the AU Airport Map URL in Tasmania Map to Google Earth Network Link. Content has been updated with New South Wales airports. Also included are Seaplane Bases in the country.